TOKYO (AFP) - A Japanese-led research team said it had made a seeing, hearing and smelling robot that can carry human beings and is aimed at helping care for the country's growing number of elderly. Government-backed research institute Riken said the 158-centimeter (five-foot) RI-MAN humanoid can already carry a doll weighing 12 kilograms (26 pounds) and could be capable of bearing 70 kilograms within five years. 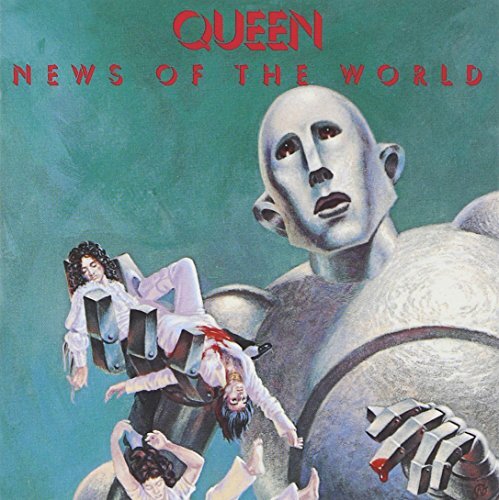 When I saw this fellow here on the left, I was reminded of some famous science fiction robots, including the famous Frank Kelly Freas sad robot, fromAstounding Science Fiction, in 1953, which was used as an album cover by Queen. This robot appears to be saying "Oops" because the man he's picked up has proved excessively fragile. This is not an encouraging thought, if robots are going to take care of me in my old age. 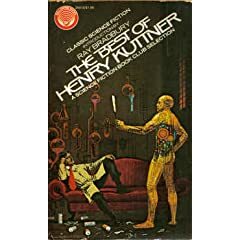 Then there was Joe, Henry Kuttner's "Proud Robot." (Click to see Joe admiring himself in the mirror. ) Joe was designed by an inventor who liked to drink, which means that he woke up one morning and found a robot that he couldn't remember building, and that he didn't know what it was supposed to do. Mowing Alone? Technology Works on Grass as Well as Snow, by yours truly. Here's the latest on the Robot Lawnmower. Now, a combine rolls into a field. In a matter of hours, one or two workers harvest and store the grain. Labor is reduced at least tenfold.